​Arsenal are reported to have upped the ante in their bid to sign Mexican winger Hirving Lozano from PSV, while frontrunners Napoli have been put off by the Dutch side's lofty asking price. The Mexican winger, nicknamed 'Chucky', has followed up an impressive World Cup with a prolific goalscoring season, registering 15 goals and nine assists in 27 appearances so far, helping his side to a remarkable 16 wins from their opening 17 Eredivisie games. With his form, however, inevitably comes interest in his signature, and Italian outlet ​Tutto Mercato Web report on Friday that ​Arsenal have 'increased interest' in the 23-year-old's signature in recent weeks, perhaps having sensed ​Napoli's reluctance to move decisively. The claim is that Napoli remain as frontrunners to secure his signing, with the club in touch with super-agent Mino Raiola over a deal, but their refusal to meet the Eredivisie leaders' €40m asking price has come alongside numerous enquiries from the Gunners about his availability. Chelsea and Barcelona are also supposedly in the frame, but it seems for now as if Arsenal and Napoli are the main contenders for now. What will come as extra encouragement for those of a London persuasion is that the player has ​previously expressed a desire to move to the ​Premier League, saying it would be 'fabulous' to play with any of England's big clubs. 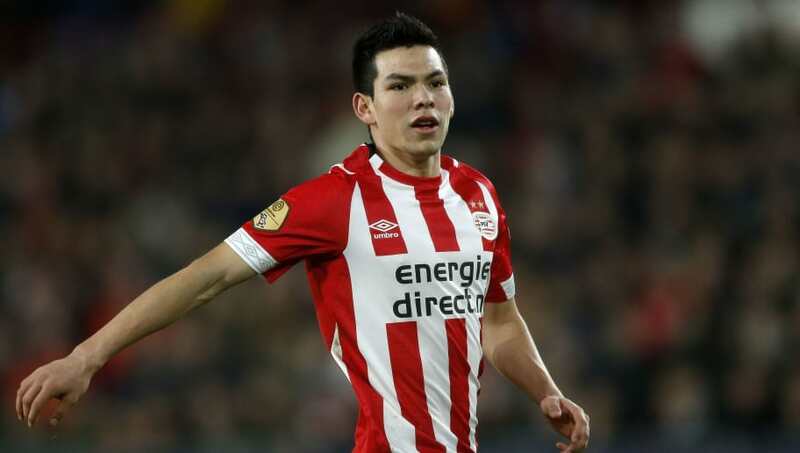 Speaking after PSV's Champions League defeat to Spurs in November, Lozano said: "I hope that God, some day, gives me a shot at playing in the Premier League. Arsenal interest in highly unlikely to come to anything this January, with Unai Emery admitting the Gunners are only in a position to do loan deals. However, ​a switch for Barcelona's Denis Suarez could be close.